With decades of experience with financial management, Financial Coach Matt Geelhoed has worked as a coach for dozens of individuals to help them take control of their personal finances. 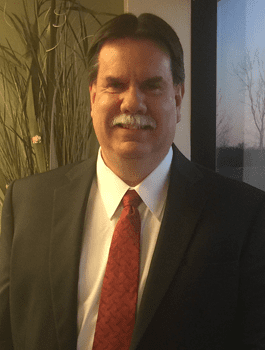 Beginning his career with a Bachelor’s Degree in Business Administration with a major in Accounting and a minor in Finance, Matt has been employed in the accounting and financial management trades since 1989. Experience as a Financial Peace University Class Leader over many years has lead Matt to see how important it is to help make accountable financial planning a part of everyone’s lives. Matt was able to get me started down the road to financial security right from the start. We’ve continued to work with Matt for many years into retirement. He has always been there to guide us. An easy to follow program for financial success! A proven system with a one on one coach. Doesn’t get much better than that! Although Matlyn is NOT a 501c3 tax deductible charity, you can still donate to our cause. Any contributions received will go towards the purchase of books and other class materials as well as online budget related resources, travel expenses and the support of this website and its online client portal. If you have benefitted from our coaching services and would like to help others engage with our services who may not otherwise be able to afford some of the class resources, please consider ‘paying it forward’ by making a donation today.